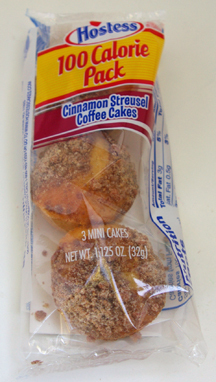 When I was a kid, I used to love to get those Hostess coffeecakes that came in a three pack at the gas station. I thought they were so delicious, and my mom never, ever made coffeecake, so they were quite a treat too. I always used to have them with chocolate milk. The breakfast of champions, clearly. Now, as an adult, I never buy them. We try to eat more natural and organic foods in our home, and sadly, those fall far outside of our eating style. However, several weeks ago, shortly after I celebrated my 100th blog post, I ordered something that inspired me to recreate those little cakes, in a healthier form. Many of you mentioned, during the Bake It Pretty giveaway, that you would buy the muffin top pan if you won (unfortunately, it’s currently sold out!). Well, I couldn’t stop thinking about how fantastic it would be to have that damned pan. Thanks, guys. So now I have it. And now I really am thanking you guys, cause I made the yummiest muffin tops with it! Because I always thought those little Hostess coffeecakes were like muffin tops, they were the first thing I was inspired to try. FYI-these are not exclusively to be made as muffin tops. I have included directions for making them as standard muffins, too. The cast of characters today: unsalted butter (softened), salt, baking powder, baking soda, cinnamon, vanilla, flour, eggs, sugar, and sour cream. And brown sugar…and cocoa powder…there’s always one or two ingredients that I forget. What is up with that?! The addition of the cocoa powder adds a depth to the crumb topping, but you can’t taste the chocolate. It’s just a nice darkness that the muffins needed. In a large measuring cup or medium bowl, combine the sour cream, eggs, and vanilla. Whisk until combined and set aside. In the bowl of a food processor, combine the pecans (if using), brown sugar, cinnamon, and cocoa and pulse 5 or 6 times. Pour the mixture into a medium bowl and set aside. In the food processor, combine the flour, sugar, and salt with four or five pulses, then distribute the butter pieces evenly over the top. Pulse 8 or 9 times, until the butter is smaller than pea size. Remove a half cup of the flour mixture and stir it into the brown sugar mixture with a fork; set aside.Â Add the baking powder and soda to the flour mixture in the food processor and pulse again 4 or 5 times to combine. Pour the sour cream mixture over the flour mixture and pulse 5 or 6 times, until the mixture just comes together. Measure out 3/4 cup of the crumb topping and sprinkle it evenly over the batter in the food processor. With a rubber spatula, stir the topping into the batter with three or four stirs, just until it is swirled through the batter. Place 2 tablespoons of batter in each muffin cup. Evenly sprinkle 2 teaspoons of topping over each muffin, gently pressing it into the batter. Chocolate chips are a great addition to these! I added about a teaspoon of mini chips to half of the muffins. Bake at 350 degrees for 15-18 minutes forÂ standard muffins, or until a toothpick inserted in the center comes out clean. Bake muffin tops (at 350) for 10-12 minutes, or untilÂ a toothpick inserted in the center comes out clean. Leave the muffins in the pan for 2 minutes before removing them to a cooling rack. Allow to cool at least 10 minutes before serving. When I first got this pan, I was convinced that each cup would hold more batter than a standard muffin cup. If you’re thinking the same, we’re both wrong.Â After the first batch, I knew that these definitely hold the same amount of batter as regular muffin pans. For this batch, I gave each muffin an extra tablespoon of batter. They overflowed as they baked and ran together. Did this affect the taste or texture? Absolutely not. They’re just ugly. So if you want to add extra batter, go for it… Just be aware that they won’t look as nice as those with less batter. You can see here how much nicer these look if you stick to using two tablespoons of batter.Â These are excellent as regular muffins too, and they’re fast to make. From start to finish, we had fresh muffins in less than a half hour. These turned out so great, I ate entirely too many in one day. I prefer not to talk about it, it’s too embarrassing! And, of course, I had to have a cold glass of chocolate milk with them! It was a such a nostalgic treat, that turned out to be way better than what I had as a kid! I highly recommend them for a grown up version of a kiddy favorite. Enjoy! Preheat oven to 350 degrees. Line a standard muffin pan with paper liners, or spray a muffin top pan with non-stick cooking spray. In the food processor, combine the flour, sugar, and salt with 4 or 5 pulses, then distribute the butter pieces evenly over the top. Pulse 8 or 9 times, until the butter is smaller than pea size. Remove 1/2 cup of the flour mixture and stir it into the brown sugar mixture with a fork; set aside. Add the baking powder and soda to the flour mixture in the food processor and pulse again 4 or 5 times to combine. Pour the sour cream mixture over the flour mixture and pulse 5 or 6 times, until the mixture just comes together. Measure out 3/4 cup of the crumb topping and sprinkle it evenly over the batter in the food processor. With a rubber spatula, stir the topping into the batter with three or four stirs, just until it is swirled through the batter. Place 2 tablespoons of batter in each muffin cup. Evenly sprinkle 2 teaspoons of topping over each muffin, gently pressing it into the batter. If using, sprinkle about 1 teaspoon of mini chocolate chips on each muffin. Bake standard muffins for 15-18 minutes, or until a toothpick inserted in the center comes out clean. Bake muffin tops for 10-12 minutes, or untilÂ a toothpick inserted in the center comes out clean. Leave the muffins in the pan for 2 minutes before removing them to a cooling rack. Allow to cool at least 10 minutes before serving. Hurrah! Another delicious looking way to use our beloved muffin top pans. These look fabulous!! We're suckers for crumb topping on anything! @The Blue-Eyed Bakers – I can't wait to make a million more recipes in this pan…I loved these! Ummm these look AMAZING!!!! I have a muffin top pan (and love it!) and I can't wait to try these! Yay, bookmarked! Fantastic muffins. I love the muffin top pan. Iâ€™d love for you to submit one of your beautiful photos, and a link to your post, to my new baking photo gallery showcasing the best baking, desserts and sweets on the web. I would LOVE LOVE LOVE for you to do a post about your photography. I could use some serious help with mine. Do you use a photo light box? I'll definitely get a post together about my photography soon, and I'll make sure that I list all of my equipment for you! Wow – your post captured me from the beginning. Lovely photography also! Here is a blog post of these that I made. Thanks for the recipe! What is the cook time for this? Hi Erin, In the recipe, I state 15-18 minutes for standard muffins or 10-12 minutes for muffin tops, so it just depends on which you’re making. I made these again but with gluten-free flour this time and they were just as delicious! Here’s my blog post. Thanks for this recipe!